IDF completes humanitarian effort to rescue members of a Syrian civil organization and their families due to a threat to their lives. The German newspaper Bild reported on Saturday that Israel had helped evacuate 800 members of the Syrian civil defense organization, also known as the White Helmets, from southwest Syria. According to the report, the activists passed through Israel and entered Jordan. The group reportedly crossed the border between Israel and Syria in a convoy of buses escorted by the Israeli police and UN forces. “The civilians were evacuated from the war zone in Southern Syria due to an immediate threat to their lives. The transfer of the displaced Syrians through Israel is an exceptional humanitarian gesture,” it added. “The civilians were subsequently transferred to a neighboring country. 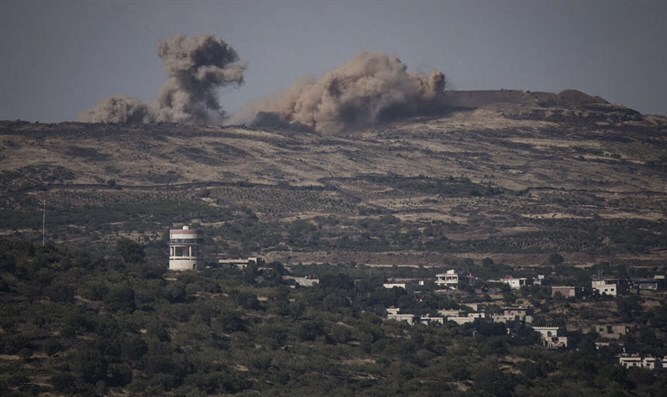 Israel continues to maintain a non-intervention policy regarding the Syrian conflict and continues to hold the Syrian regime accountable for all activities in Syrian territory,” concluded the IDF statement.